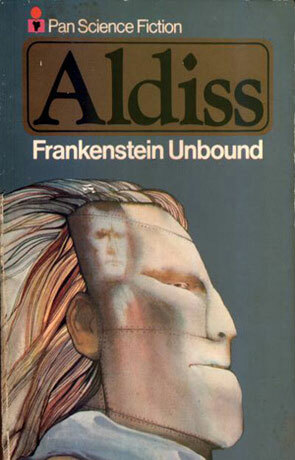 Frankenstein Unbound is a science fiction novel by the British author Brian Aldiss. Time is starting to break up, when Joseph Bodenland, a citizen of the year 2020, gets thrown back through time and space to Lake Geneva around the time when Mary Shelly was writing the original Frankenstein story. To his big surprise there's an actual Victor Frankenstein living there, and yes, his younger brother has just been brutally murdered and the nanny is charged with the murder. Fiction and reality getting mixed-up or what? Bodenland searches out Shelly to find out. He not only finds Mary Shelly but also Percy Bysshe Shelly, Lord Byron and Dr. Polidori. As to how it goes with Frankenstein and his creation… well, that would be telling wouldn't it? Aldiss uses Frankenstein's monster and the voices of Byron and the Shelly's to make a lot of comments about both our time and the time of Byron and Shelly (and what happened in-between). Some times it gets a bit too much and downright preachy, but most of the time it's interesting or at least funny in its own naive way. If you have read the original Frankenstein story (which you should have – so many other stories rely on it) the 150 pages of Frankenstein Unbound are well worth the time, if you can find a copy of it.